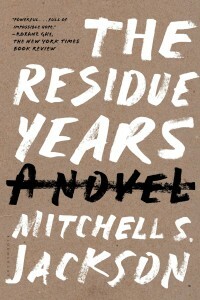 The novel The Residue Years, written by Portland native and PSU alum Mitchell S. Jackson, was the 2015 Everybody Reads Selection by Multnomah County Library. As part of Everybody Reads and sponsored by Literary Arts, Mitchell Jackson spoke at the Arlene Schnitzer Concert Hall on Tuesday, March 10. PSU Library bought a bundle of tickets and sent more than 55 students to the talk. Thanks to the many students who participated!